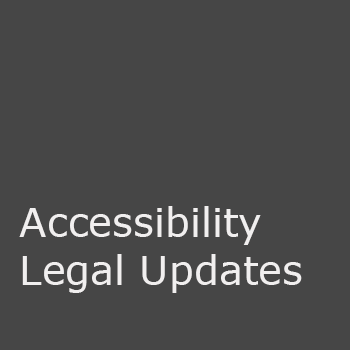 Attorney, author and noted trainer and advisor Salome Heyward will be discussing reviews of important court decisions, settlement agreements and recent agency rulings regarding accessibility and accommodations. The focus of this webinar will be on issues and concerns that continue to generate the majority of complaints and lawsuits. Topics to be addressed include the proper role of faculty, the responsibility of students, identifying essential academic requirements and the adoption of compliant grievance policies and procedures. Heyward will also discuss significant Office of Civil Rights and Department of Justice pronouncements regarding accommodation practices and procedures.